All other components from 0.7mm steel. All other components from 1.2mm steel. 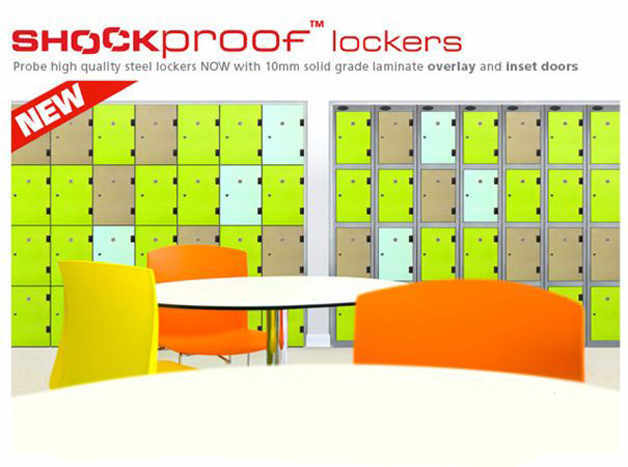 Lockers.ie offer their high quality steel lockers with10mm solid grade laminate doors. These doors can be designed as overlay doors or inset doors and come in a wide variety of colours. We approached Lockers.ie to offer a solution for our locker rooms. We required security, while maintaining visibility, all combined with good visual aesthetics. Lockers.ie offered a punched hole door locker which gave the ideal solution. The team designed a layout which provided the required number of lockers in a restricted space. We were delighted with the final product. When we were upgrading our School lockers we selected Lockers.ie after an extensive tender process. We found the team in Lockers.ie extremely helpful in specifying the lockers required in terms of type, size and locking mechanism required. 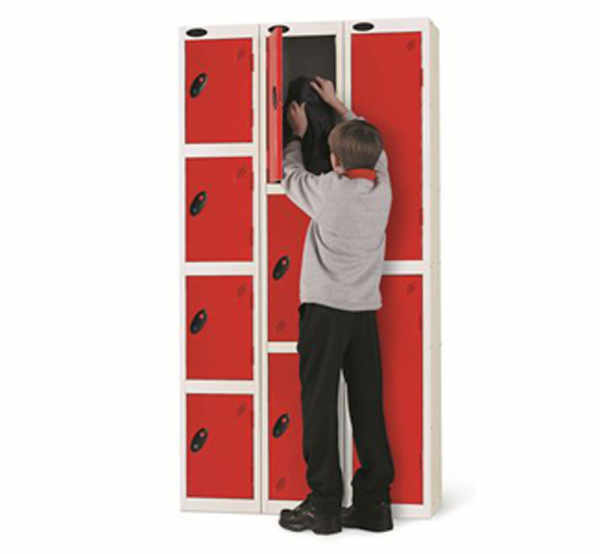 When the lockers were ordered Lockers.ie excelled in designing a layout which optimised the space available. Lockers.ie supplied us with lockers for our new nursing home. The home came under the new requirements of HIQA and the inspector commented on the quality and specification of the lockers. He particularly noted the incorporation of the antibacterial coating as standard. We selected Lockers.ie as the provider of lockers to our new hospital. While we had already developed a detailed specification, the team at Lockers.ie, with their extensive experience were able to add value to our project. Please Call 01 4130913 or message us below and someone will contact your as soon as possible. Thank You for Contacting Us! Our Team will contact you asap.